Contrary to what many may think, there are alternative cheat devices to Galoob’s Game Genie. 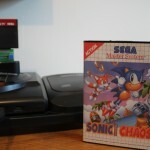 Datel has supported a series called the Action Replay for almost two decades, and several versions were released for Sega’s 16-bit hardware, both domestically and in Europe. We’ve put them through their paces to see how they hold up, so read on for all the details. Looking for a portable Genesis so you can take your cartridges on the go, but find the Nomad a bit too pricey? Well, there are other options out there! We take a look at a relatively new one, the Hamy HG-806, and put it through its paces. It performs surprisingly well for non-Sega-made hardware, so read on and see if this one fits your needs. 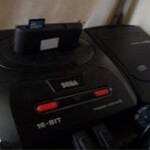 Gamers itching to play Genesis via emulation can get closer to the real thing by using converters to plug in real controllers. 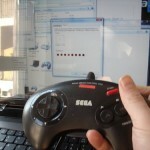 RetroZone makes one called the RetroPort that lets all sorts of controllers and sticks work on computers, and it’s even compatible with modern game consoles. For homebrewers and gamers of all types, the Genesis has its fair share of flash carts. Recently, a new challenger has stepped into the ring to compete against the might Mega Cart and MD-Pro. Krikzz’s Everdrive is a neat little piece of hardware that offers a large storage size and modern transfer methods, and it’s not that expensive to boot!